Book values - What is my book worth? Book value: How much is your book worth? The easiest way to know how much your copy of a book is worth on the open market is to check on how much similar copies are currently being offered for. Fill out this form with enough information to get a list of comparable copies. You can narrow down the search results by selecting the filters in the search results to see only Hardcovers, First Editions, Signed Copies, etc. Condition means everything in a book's value. A book that has significant damage is likely not worth much. A book collector wants an attractive copy. Dust jackets. 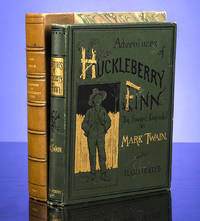 Most hard cover books published since the early 20th century were sold with a dust jacket. The dust jacket is both the most decorative part of a book, and the most delicate. A missing dust jacket, or a dust jacket that is in poor condition, can cut a collectible book's value more than 50%, and make it harder to find a buyer. Make sure that the copy you have matches the copy that is being offered. There are a number of ways that a book may, at first glance, look to be a rare collectible, but upon closer examination doesn't match up. Reprint editions: Some publishers specialized in reprinting popular works in affordable reprint editions. Publishers such as Walter J. Black, Sun Dial, Triangle, Collier, A.L. Burt, and Grosset & Dunlop, to name just a few, would use the printing plates from the original publisher and reprint works long after their popularity was established. One way to check if your copy is a reprint is to compare the name of the publisher on the book's spine to the name of the publisher on the title page. Reprints will often have the original publisher's name on the pages in the book, but the book binding will identify the name of the reprint publisher. Later printings: Publishers don't use any standardized systems for identifying a first edition. Each publisher uses their own individual system to state a first printing of a book. Even the words 'First Edition' aren't a guarantee. Publishers will sometimes forget to remove the 'First Edition' words from the printing history as they go into subsequent printings, and the number line is the only way that you can really know that your copy is a first edition. Adding to the confusion, publishers will often change the way that they identify first editions. You can buy a guide to identifying first editions to make some sense of the confusion. Book Club Editions Book of the month clubs often use the same printing plates as the original publisher, right down to the words "First Edition" on the printing history. You can find detailed help on identifying book club editions here. Supply vs. Demand Too many comparable copies currently for sale may indicate a glut in the market. It's harder to sell a book if you have too much competition, and prices for that book tend to start going down. Check the range: get an idea of the full range of similar copies currently offered. Don't just settle on the lowest or highest price for comparison. If you're unable to find a comparable copy on Biblio, try using BookGilt which searches for antiquarian and rare books across the entire internet. If you do decide to sell your copy, it may be months, or even years before the right collector comes along. You might decide to offer your copy to a reputable local bookseller instead of selling it on your own. A professional bookseller can give you an immediate fair offer for your book, but their price will need to factor in the profit they need to run their business, so don't be surprised to be offered 1/4 of the average retail. Their offer will figure in their costs and the time that they expect to have it in their stock before a buyer comes along. How do you determine how much your books are worth? How and why to get a book appraisal?